Science-y picture of the *random time interval*! « Nothing in Biology Makes Sense! Science-y picture of the *random time interval*! 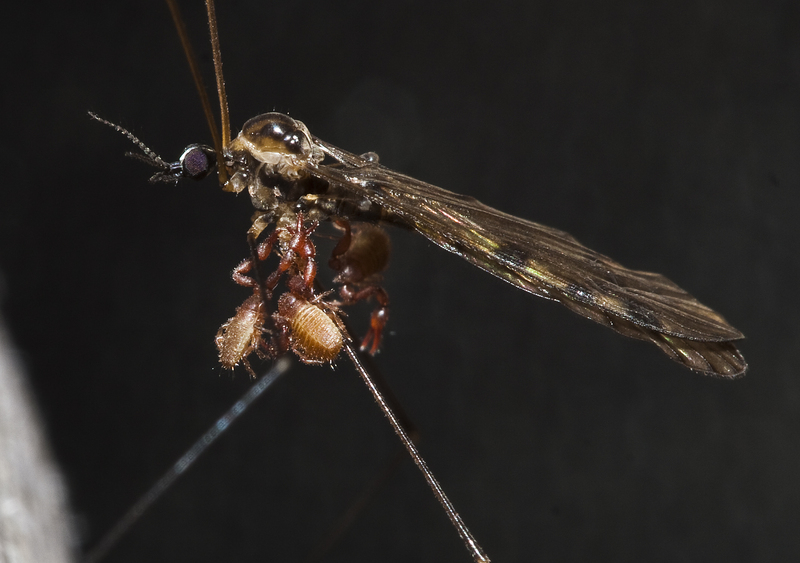 This is a photo of a crane fly (Tipulidae) with three pseudoscorpions (a type of Arachnid) holding on to its thorax. This has been observed frequently, and it is thought that the pseudoscorpions are merely attempting to hitch a ride, a behavior known as phoresy. Where they are hoping to go is beyond me, but the fly was overburdened and flying erratically, so they probably didn’t make it far. The photo was taken in Clark Creek Natural Area, Mississippi. This entry was posted in photo and tagged diptera, natural history, photo, pseudoscorpionida, Tipulidae.